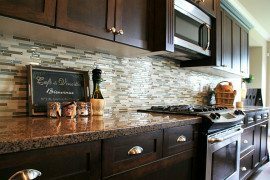 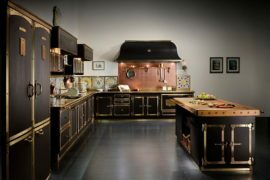 Backsplashes need to be tough—they have to put up with regular exposure to water and soap, and (let’s be honest), they probably don’t get cleaned as often as you’d like to. 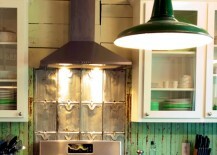 In other words, they should cover when you haven’t had time to scrub them down. 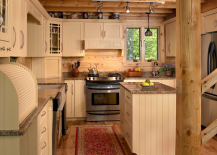 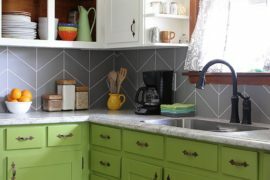 Whether you go for a thick or thin beadboard, it actually works in a surprising variety of situations, from kitchen to bathroom, from bar to laundry room and back again. 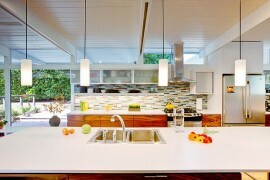 White-on-white is always a classy look. 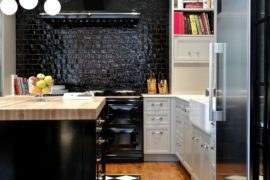 The reclaimed beadboard in this home in Texas is paired with a creamy white marble, creating a tone-on-tone kitchen that’s pretty and simple. 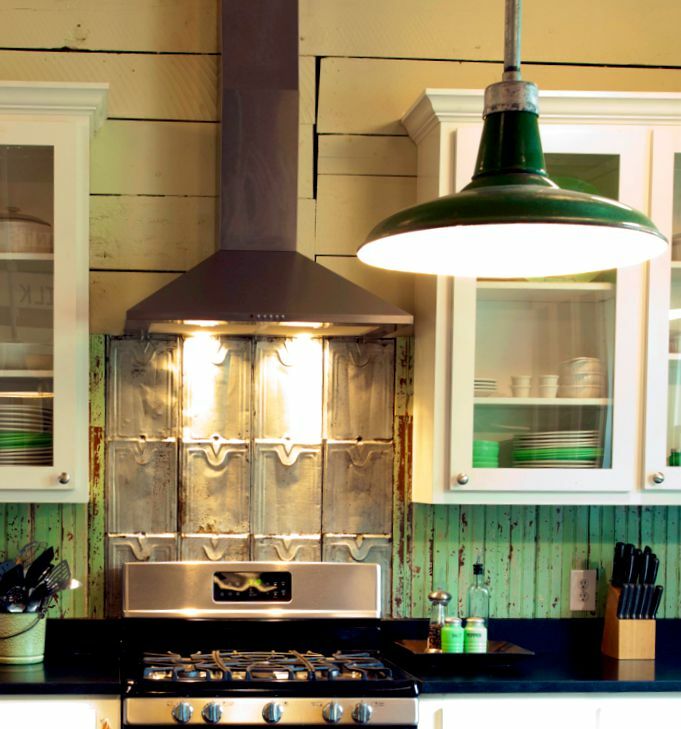 Vintage beadboard is given center stage in this new kitchen that takes full advantage of reclaimed pieces along with found roof tins. 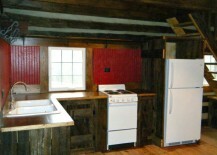 Reclaimed barnwood was upcycled to create this cabin’s unique beadboard kitchen wall and backsplash. 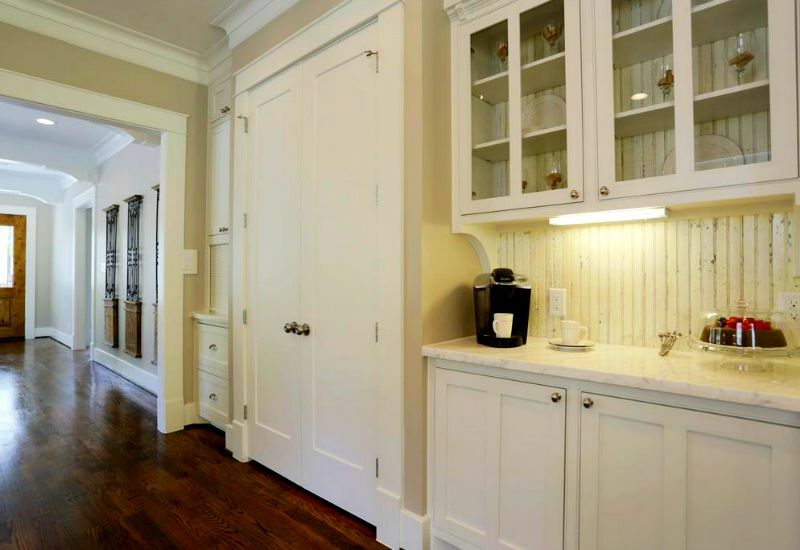 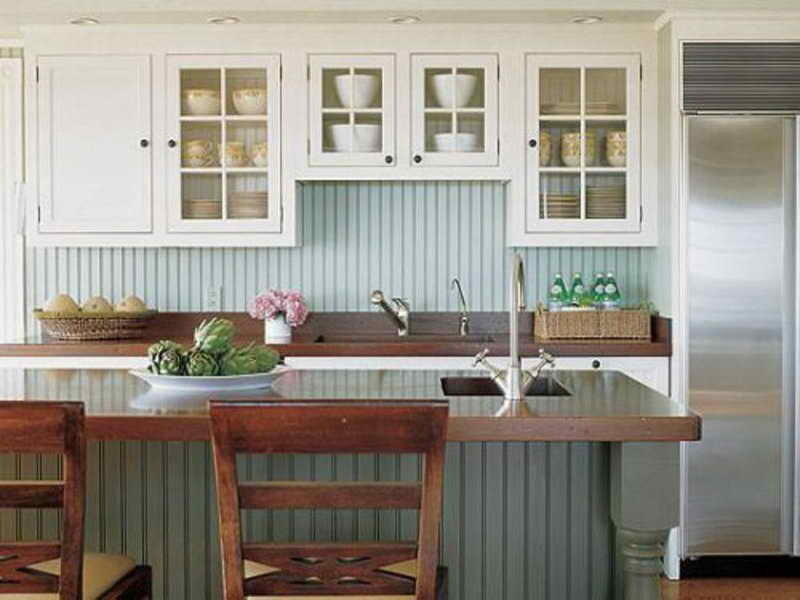 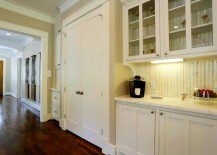 Matching beadboard with the wainscoting in other parts of the kitchen creates a cohesive look. 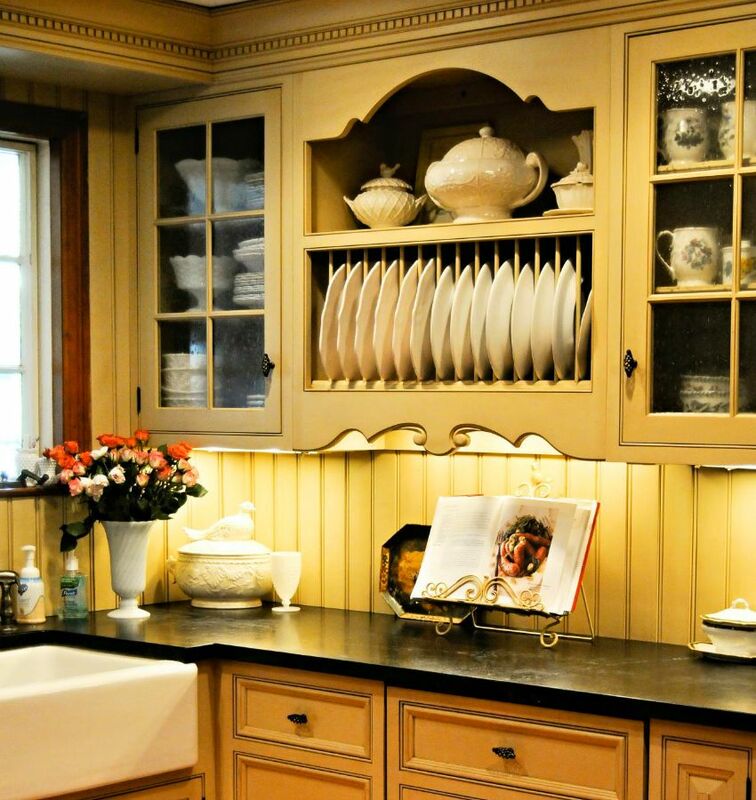 The pale yellow, thicker beadboard serves a strong purpose in this kitchen setting—as both a simple background and a provider of complementary texture. 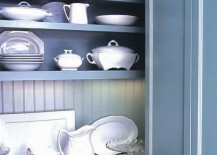 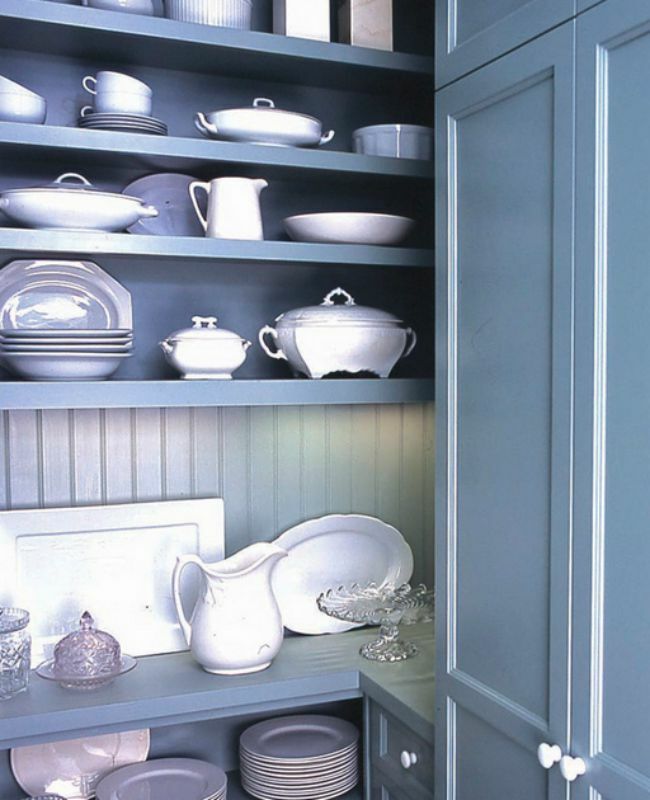 Go vintage with a thicker beadboard paired with lovely curvy shapes to offset the straight lines. 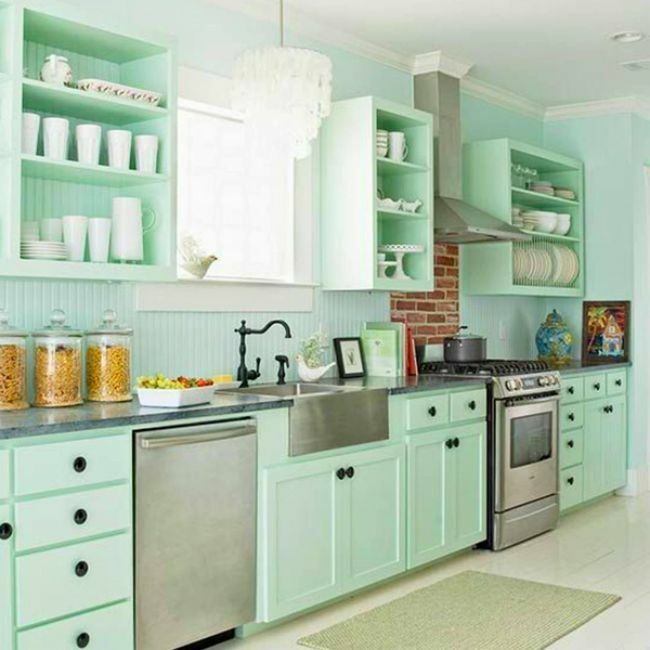 This pretty vintage kitchen feels a bit more modern with open shelves and a cool green pastel throughout, including the beadboard. 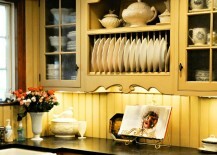 Beadboard Out of the Box! 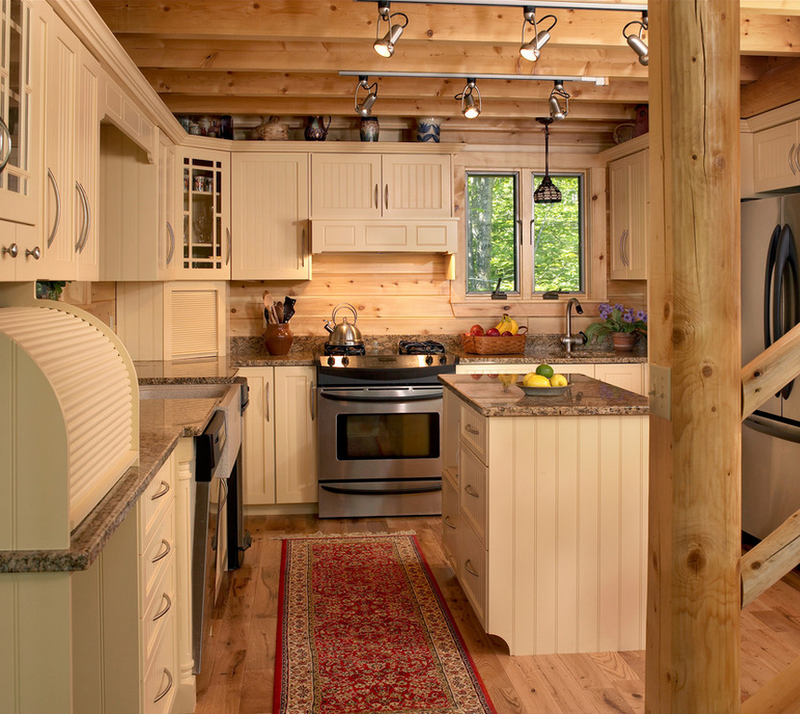 Beadboard can be used in other spots around the house too: This thick beadboard footsplash complements the log-cabin feel of the cedar backsplash in this Portland, Maine kitchen. 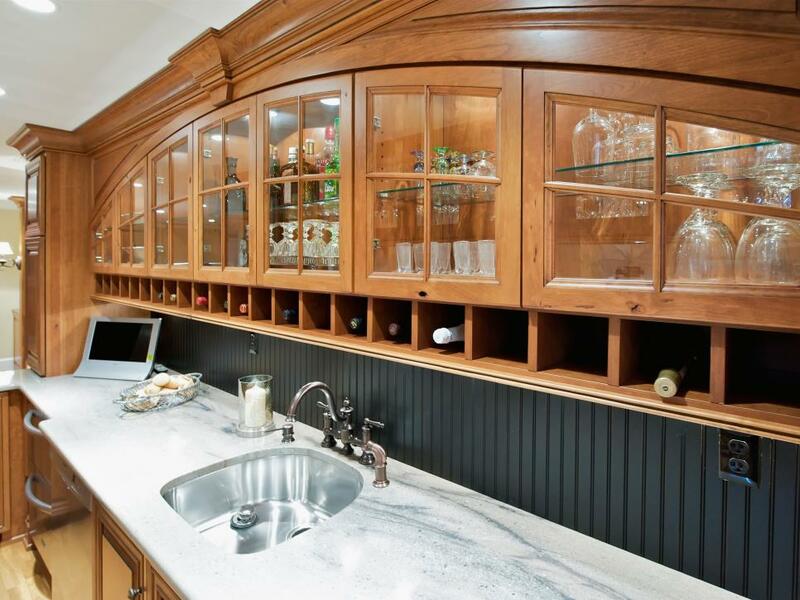 A wet bar is another spot where beadboard is an unexpected pleasure; here the wood detail, marble, and the painted board complement and offset each other. 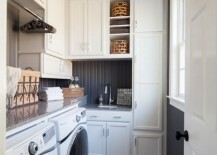 Proof even a laundry room can be cute. 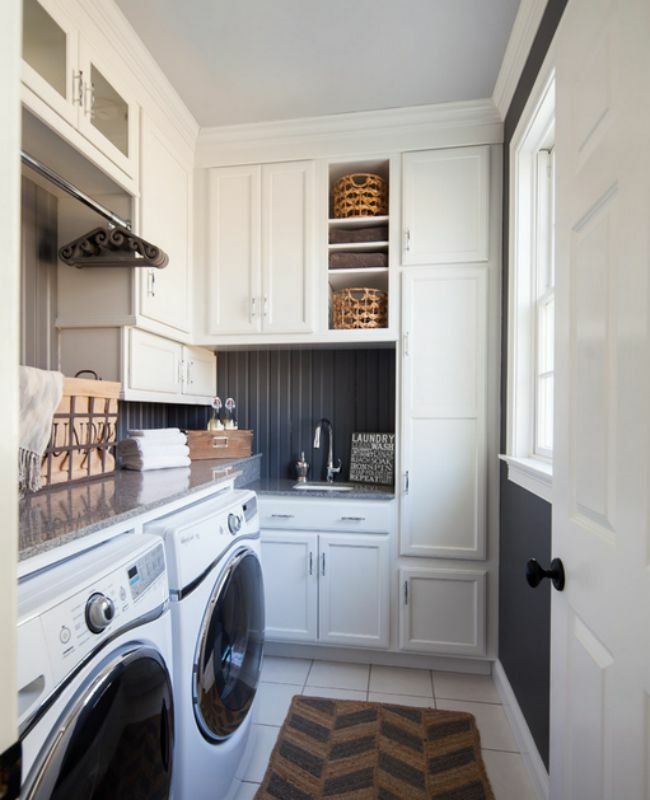 Beadboard serves as a backsplash in an unexpected place—the laundry room—and makes it feel more like a space that you’d like to spend time in. 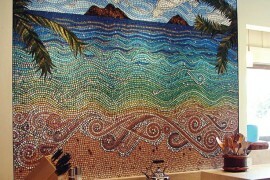 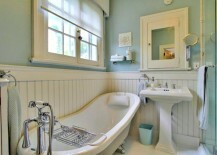 Beadboard in a bathroom can be used as a backsplash or a tubsplash (? 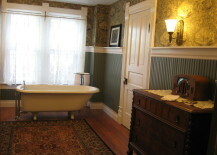 ), as in the example above, where it’s used behind a vintage tub setup. 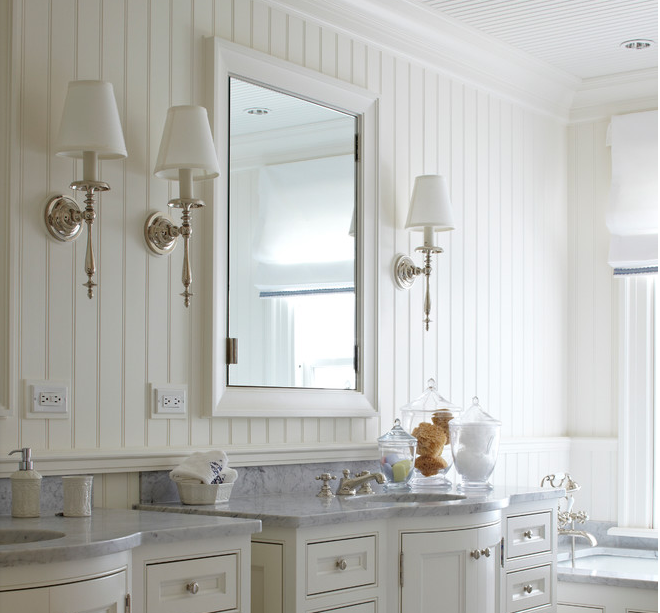 A thicker, cream-colored beadboard here extends all the way up to the ceiling of this cozy-but-refined bathroom. In this Victorian bathroom, traditional colors of the era are used; the beadboard here is taken in a darker direction than is commonly seen, but it makes quite a statement. 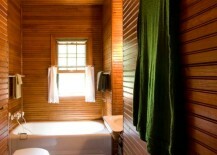 Don’t be afraid to use beadboard in even smaller bathrooms—as you can see here, it works. 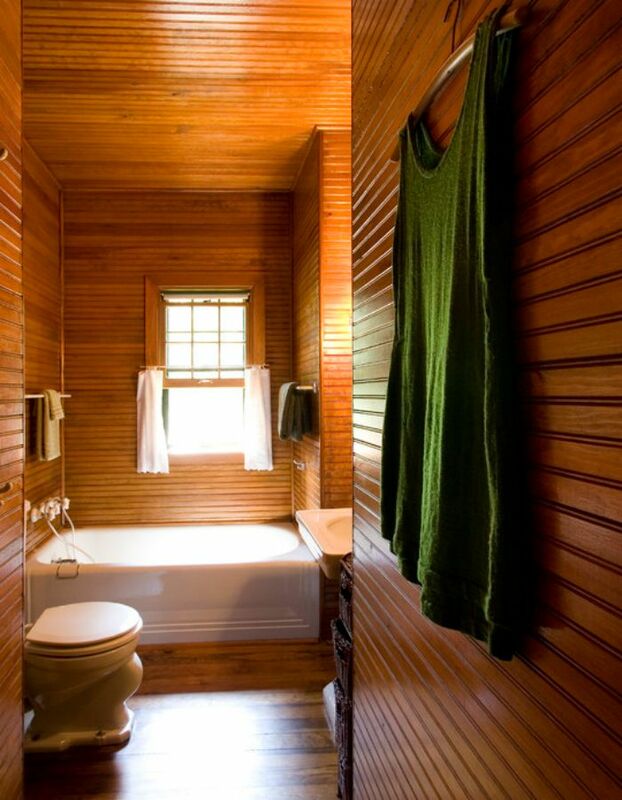 A beautiful bathroom completely lined in natural wood beadboard feels like a spa, and keeps things simple while making an impact. 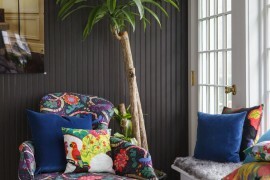 Need more inspiration? 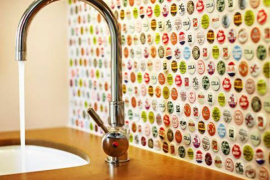 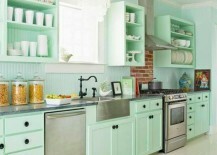 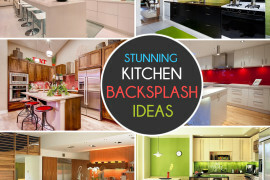 Check out the most popular, colorful kitchen backsplashes!